Yep, Photoshop on the iPhone. 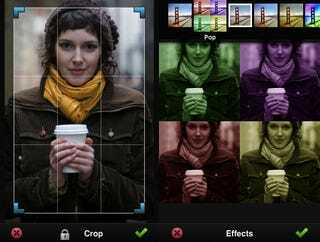 At first glance, it's not much different from other light iPhone photo editing apps, except it's tied to their online service, but the effects and interface look above average. And, uh, freeness.